With the Northern Colorado Writers Conference less than 20 days away, I thought I would ask the amazing faculty another question so we can all get to know them better. Do you collect anything? If so what is it and how long have you been collecting it? Besides rejection slips from publishers and editors? I suppose books and comic books might be a bit common place among writers, so that might not be all that different or original. But here's something I collect while traveling. 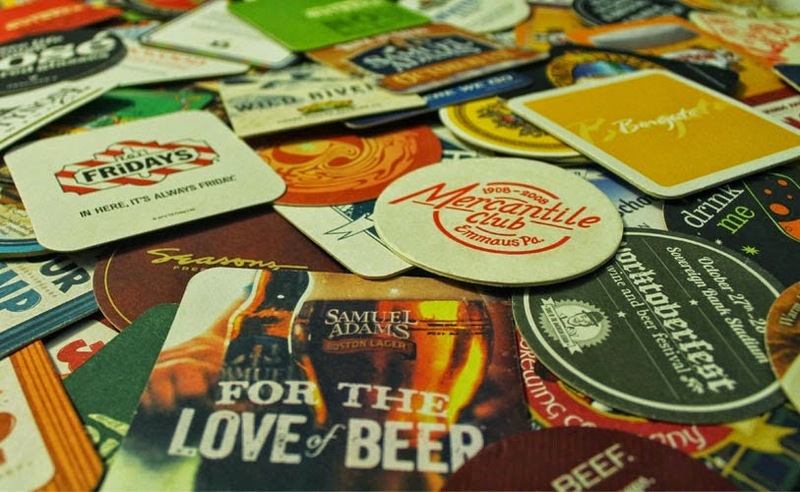 Beer coasters that advertise local beers, breweries and restaurants. I travel a lot, and I love trying local craft beers. Given that there's not often room in my suitcase for larger items (I used to collect shot glasses from various locals), it's quite easy to slip coasters into my pocket and bag without taking up a lot of room. And besides, it's practical and you'll rarely find those unsightly rings on my counters at home. I seem to have accumulated a rather large naked Barbie doll collection. This has been going on for about six years now, and I have two young curators (aged 8 and 6) who help gather new specimens for the collection. I don't, for the life of me, know where they all come from, how they multiply so quickly, or what happens to all of their clothing. Rejection letters. A good 15 years now. First ten years getting screenplays rejected; now I'm hoping to expand my collection with fiction rejections. I'm really not a collecting type, because I'm more into minimalism and simplicity, but I do love handwritten letters, and I have a small box of them from over the years. Records. Mostly jazz—Miles Davis, Ella Fitzgerald, and the like, with a few big band and 80s movie soundtracks thrown in. I am not much of a collector since I believe that a clean and uncluttered home yields clarity of mind. I do, however, have a number of classic books, modern classics, rare books and graphic novels at home. I also have a small collection of vinyl records. The walls of my apartment are covered with oil paintings by my wife's grandmother who is a mixed media artist. A lot of her work is very tribal and concerns familial and middle eastern folk art subjects with a spiritual bent. We also have some pop art prints associated with music, comic books, street art and cult classic films. No, I've never been a collector. When I moved into my (now) husband's house eight years ago, everything I owned fit in my car. Yes, I collect those souvenir pennies where you crush the penny in a machine and some sort of image is embossed on the penny. I started collecting them about 20 years ago. I'm not really a collector, but since I do letterpress printing and book binding, I've been acquiring specialty and handmade papers. To the point where I now need a flat file cabinet to store them all, and wouldn't mind having one or two more.